AUSTIN, Texas — Golfers passionate about the game like to be challenged, but challenged fairly. They like finding their favorite course or golf courses to play where they can have meaningful competitive fellowship with their buddies and others who share their passion. Here is the signature hole at Falconhead - the par three 17th. There is more room on the green that it seems. Play this game long enough, and you'll come across golf courses that leave a lasting impression. You'll find the course you want to call home or you'll find a course or two that you'll want to return to — physically and mentally. The three-year-old Falconhead Golf Club is such a course. 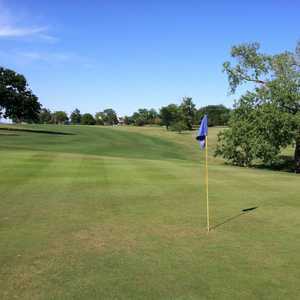 Located on Ranch Road 620 south of Lakeway and about 20 minutes from downtown Austin, this is a course that you'll revisit in your mind's eye after you've played it. It's fun, it's challenging for any skill level and it's fair. As you enter the property, you'll see a PGA Tour logo. The course is the first constructed as part of the PGA Tour Signature Series projects. It is designed to give the daily fee player an upscale experience at a reasonable price on a course that can stand up to challenges from the game's top players. It's designed for championship-caliber play. The back of the scorecard reads, "The newest addition to the PGA Tour family of golf facilities, a PGA Tour Signature Series Course is a golf facility designed and operated to meet the exacting standards of the PGA Tour. Each Signature Series Course is committed to providing its guests with a golfing experience that lives up to the PGA Tour's unmatched standard for quality, conditioning and customer service, while also being capable of hosting championship golf tournaments." That's like having a mission statement on a scorecard — and the staff is living up to that statement. From the service you receive upon arrival, to the practice range experience, the attentive pro shop staff and the excellent condition of the course, you will want to return whenever possible. The character of the golf course reflects the surrounding natural beauty and subtly blends and complements the Texas Hill Country. By utilizing the existing natural topography, carefully saving trees, capturing picturesque views and providing a variety of shot-making opportunities, Falconhead is a unique golfing experience unlike any in the Austin area. The minimalist design of the course is evident in the subtle design of the putting greens. Don't be fooled, however. This is a Hill Country course and the "valley effect" is ever present. With specially selected Tifeagle putting surfaces, green speed and firmness must constantly be factored into play. A round of golf at Falconhead is well-balanced. The mixture and sequence of holes allow players a fair and honest start, intensify in the middle portion of the course, and provide a breather just at the right time. Players will find an equal number of shots setting up for fades, draws and straight shots. The variety in length of holes coupled with the dramatic elevation changes and views provides the player with a fair and enjoyable golf experience. The design of Falconhead takes into account many subtle details to add challenge and enjoyment to the play, such as four par 3s playing four different directions, simplistic and deceptive greens, five sets of tees for players to choose from and the minimalist design which maintained and enhanced the character of the existing site. 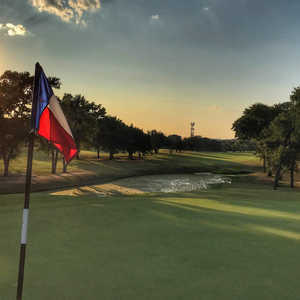 The ultimate goal of Falconhead is to provide a course that challenges the best players and is enjoyable for the average player while emphasizing the sublime beauty of the Texas Hill Country. If you want to test your game from the back tees, you'll be facing a course measuring 7,302 yards. At that length you're looking at a course rating of 75 and a slope of 129. The gold tees measure 6,855 yards with a 72.5/121 rating. The blue tees and white tees shorten the course to 6,316 and 5,924 yards, respectively. The ladies tees come in at 5,202 yards and carries a 69.9/112 rating. As with most Hill Country courses, golfers are afforded some nice views. There are points on the course that are just a pleasure to look out over and see the lay of the land, having a look at several holes at the same time and seeing how they flow together. Some of the more striking holes — holes that impress you visually and technically — are the sixth, ninth, 11th and 17th. All the holes demand a good visual analysis to pick out the right landing area off the tee. The 17th is the most photographed hole on the course. It's a par 3 built out on a ledge that hangs over a pool of water and a flowing stream. It's a beautiful and challenging hole. It can be downright daunting at the end of a round. It can play from 95 yards at the ladies tees to 184 yards from the tips. Course knowledge will help scoring because of deceptive design elements that affect club selection for the uninitiated. An example is the par-3 second: From the tee, it appears there is little room between the front bunker and the green. However, with a front pin, it's easy to come up short of the green if you hit short expecting the ball to run to the pin. Go ahead and fly it to the green. This is a fun place to play golf and the experience at Falconhead is always a memorable one. Players will be rewarded for good shot-making when playing this course. Seldom will you hit a golf shot that you would like to take back because of a bad bounce or poor lie. The course is very fair. The course is only three years old. When you play it, you'll notice the course has a maturity to it that exceeds its years. You owe it to yourself to give it a try if you are in the region. Rates for weekday play are $55 a player and escalate to $72 on weekends and holidays. There are discounts for twilight and super twilight rounds and senior and juniors get a break for their age. There are myriad lodging choices near Falconhead, including area bed and breakfasts and chain hotels. 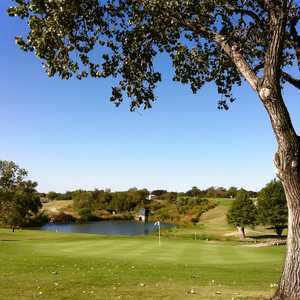 The Lakeway resort is about five minutes north and the course offers package deals. Contact them for more information. Golfers in Austin will find the city replete with a wealth of excellent dining options, from upscale American restaurants to a wide variety of Asian offerings to that most sacred of Texas subjects: Barbecue. Whatever you're in the mood for - a quick bite, a nice wine, an exotic meal - this city has an answer. Use our Austin dining guide to help plan where you might like to eat on your next Texas golf vacation.